At Corbridge Orthodontics, we believe everyone deserves a smile they feel absolutely thrilled to show off. As a premier orthodontic practice serving patients in the Little Elm, Prosper, and Frisco, TX areas, we strive to offer high-quality orthodontic treatment to patients while maintaining a fun, friendly environment in our office. 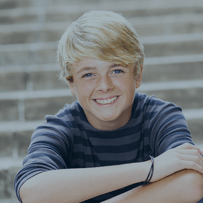 We recognize that every patient is an individual with unique orthodontic and lifestyle needs, which is why we strive to offer a variety of treatment methods. While traditional metal braces may still be our most popular orthodontic treatment, they're far from the only option – and we're now proud to offer our patients Invisalign, an exciting alternative to braces. We want to make every element of treatment easy and convenient, and we also want our patients to be as informed as possible about their orthodontic treatment. To help you better understand Invisalign, we've compiled a few of the most commonly-asked questions about Invisalign, along with their answers. Invisalign is a new way to straighten teeth and achieve a new smile that offers a fundamentally different treatment method from braces. Instead of metal wires and brackets cemented to the teeth, Invisalign uses a series of clear, removable aligners to straighten teeth. The aligners are virtually invisible when worn and lay flat against the teeth, and they can easily be popped in and out to eat, drink, brush, and floss. Generally, you'll wear each set of aligners for about 2 weeks before moving onto the next, and with each new pair, your teeth move closer to their optimal positions. The number of aligners you need and the length of your treatment will depend on your specific orthodontic situation, and you'll talk both of these factors over with your doctor at your initial consultation. How will my lifestyle be different with Invisalign as opposed to braces? Invisalign is a surprisingly non-intrusive way to straighten teeth, and most patients find little differences in their lifestyle after they begin treatment. While you'll need to wear the aligners for 20-22 hours per day, removing them only to eat, drink, brush, and floss, most things remain the same: you can still enjoy your favorite foods, oral hygiene is simple, and you won't have to worry about having braces in pictures or during presentations. The treatment process itself is convenient, as you'll only need to have appointments with us every six weeks to check your progress. For most patients, Invisalign has little impact on their day-to-day routine. Virtually Invisible: Invisalign is almost impossible to see while you're wearing it, which means no one needs to know you're straightening your teeth. Diet: Because you take the aligners out to eat, you don't have to worry about a restricted diet with Invisalign. Convenience: Maintaining oral hygiene is as easy as ever, and you'll never have to worry about special tools like floss threaders. Comfort: Because the aligners sit directly against the dental arch and are made smooth, they don't cause the same cuts and scratches in the mouth that braces do. Security: Invisalign uses advanced software to show you a simulation of your virtual post-treatment results even before you begin treatment, so you can know exactly how orthodontic treatment will affect your smile. Is Invisalign a common orthodontic treatment? Invisalign is very common and getting more popular every day, and at this point, more than 3 million people all over the world have improved their smile through Invisalign. While it's not suited for every patient, Invisalign offers an exciting alternative to braces and can present a highly effective treatment for many patients. Whether you're a teenager getting braces for the first time or an adult looking to invest in your best asset, Invisalign may be the perfect way for you to revolutionize your smile for years to come. As a family orthodontist serving the areas of Frisco, Little Elm, and Prosper, we're proud to offer Invisalign treatment to our patients and are happy to answer any questions you may have. Feel free to call us at (214) 705-6188 or reach out to us at our contact page with any questions, or if you'd like to schedule an appointment with us at our Frisco, TX office, you may do so using our easy online form. We hope to hear from you soon!